So would a grouper eat a little kid or small adult just as easily? 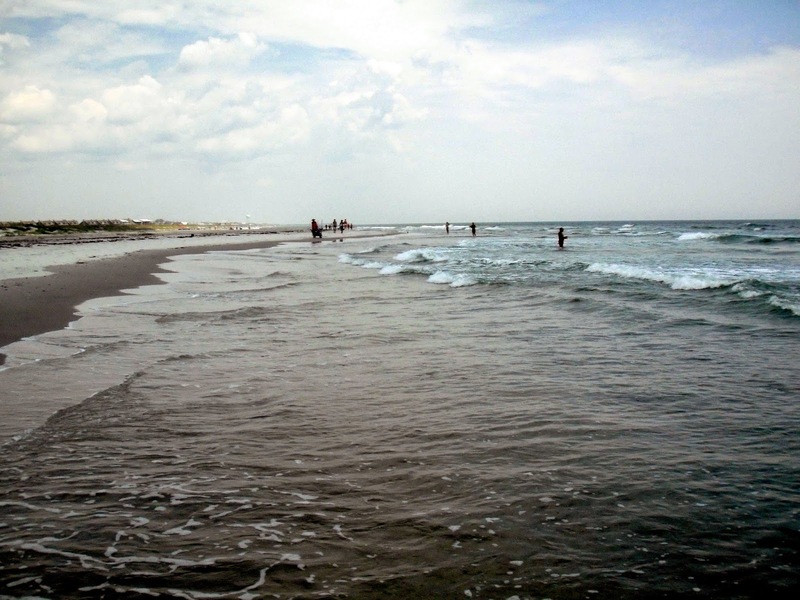 I hit the beach today in hopes of drum, spanish mackerel, bluefish or something with fins. All I got was a sunburn and sand everywhere. It wasn't a total loss. The day was beautiful and the kids had fun playing in the surf. I've been kind of a lurker when it comes to Tenkara. I read articles here and there and watch videos from time to time but to tell you the truth I had a hard time buying in on it. The technique to me looked like a fancy way to cane pole fish. The rods aren't what I'd call cheap either. It seems hard to find one under $100. As I've researched more about Tenkara I started to understand and agree with the techniques. There are some advantages. With a long rod you can extend over currents and make casts easier than you can with a western style fly rod. Why don't you just get a really long western style fly rod you say? I could do that but Tenkara has another advantage there. Tenkara rods telescope allowing you to extend and retract the rod depending on the situation. That's something you just can't do with a traditional fly rod. Sierra Trading Post recently had a deal on Wetfly's Back Country Tenkara Package. You get the rod, case, line, leader even a box of flies for under $120. I couldn't find many reviews on this package but I decided to pull the trigger and try it out. I think Tenkara can be a great thing to use with the kids. 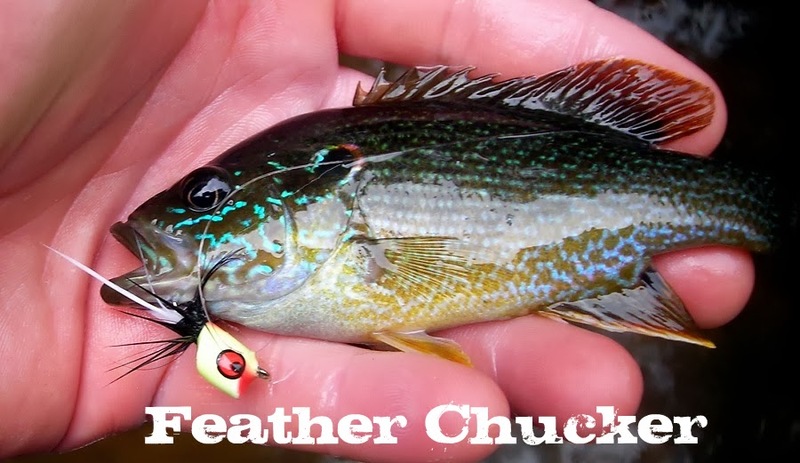 The rod takes out the confusing and sometimes very frustrating line control issues beginners fight with when learning fly fishing. With Tenkara they can focus on just casting. I'll definitely post reviews of the rod and how it performs later this year. I haven't been posting much because every time I plan to go fishing the weather has not cooperated. I don't mind fishing in the rain but storms lately have been accompanied by plenty of lightning and torrential downpours. This chart gives a picture of what the last month has been. You're reading that right. 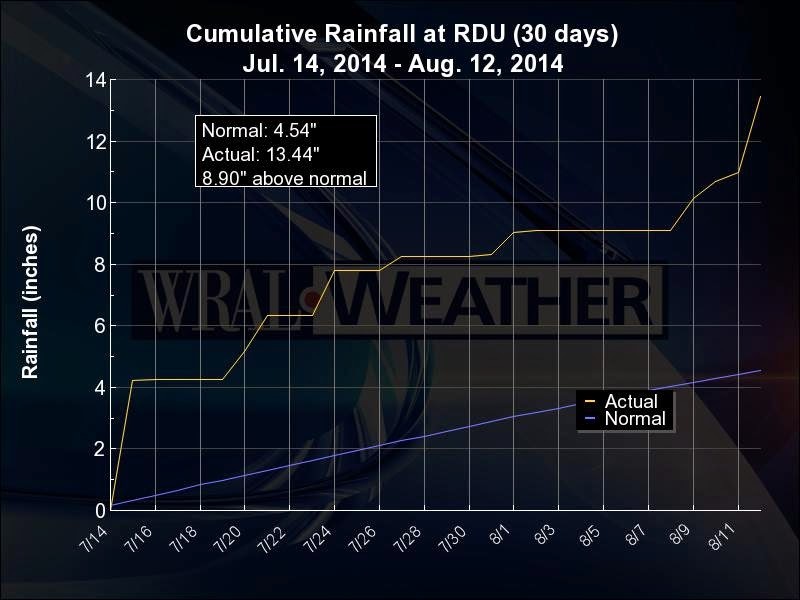 Almost 14inches of rain in 30 days. I haven't even attempted to make a cast in that time. I'm hoping to change that this weekend. The weather forecast looks amazing.